We're celebrating International Beading Week - a chance to get creative with beads and share your creativity and ideas! 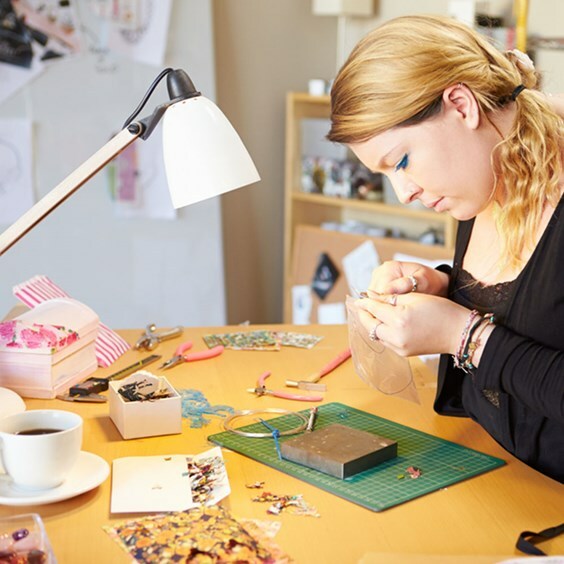 We're sharing jewellery beading tutorials, offers and sharing customer creations all this week. Below we've posted our favourite beading projects to give a try - they're all really simple and fun to create and don't forget to share your favourites with us on social media for a chance to be featured! Also don't forget to read our interview with Sylvia, one of the founders of International Beading Week to find out more about it and how you can take part. 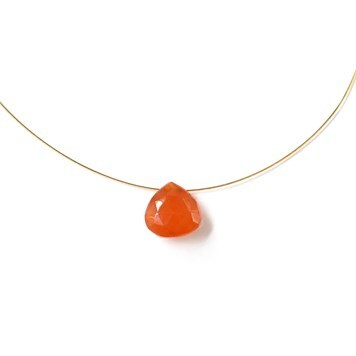 At Kernowcraft, we offer over 300 types of semi precious and gemstone beads - giving you hundreds of ideas for your next jewellery design. Take your pick from the range available and don't forget you can save up to 60% if you buy beads by the strand! 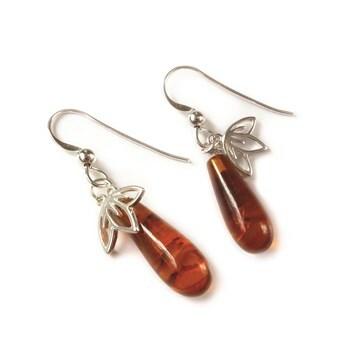 We love the amber teardrop gemstone paired with the gorgeous cherry blossom charms, a delicate yet bold design. Our turquoise rondelle beads are perfect for earrings, necklaces and bracelets. 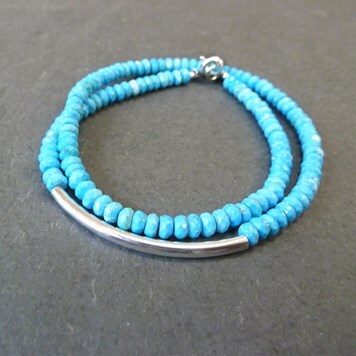 For this particular design, we decided to create a striking bracelet with the use of turquoise and silver curved tube bead. A simple design, perfect for an afternoon of creating! 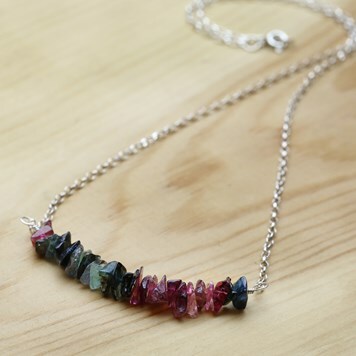 Take your pick of our beautiful selection of heart briolettes to create a simple yet stunning necklace - and a pop of colour! This jewellery tutorial is a great way to incorporate wiring into your design. 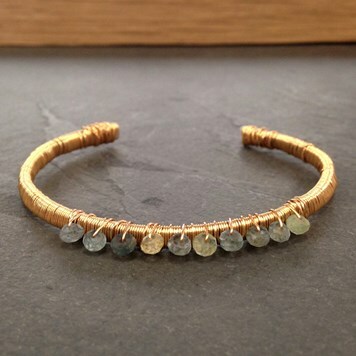 This statement cuff is beautiful, especial featuring these moss aquamarine rondelle beads! Have you used chip beads before? They add gorgeous texture as well as a chance to enhance your design with various colours. You don't need many tools and it's a lovely way to use wiring and beads together in a project. 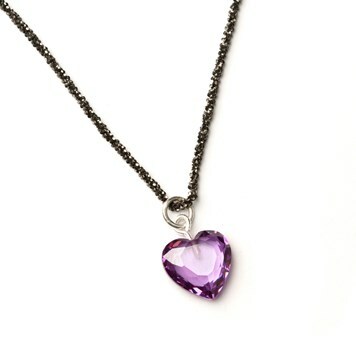 Combine our sterling silver black oxidised diamond cut rope chain with our pretty top drilled purple coloured cubic zirconia hearts to create a luxurious necklace!